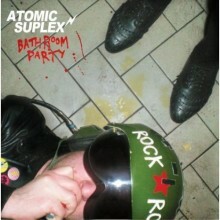 If you want some raw, visceral rock’n’roll thrills this band comes highly recommended. Just prepare for the need to go and lie down in a darkened room after listening to them. 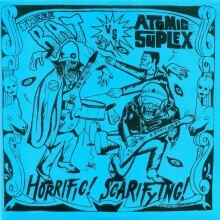 Debut LP from our pioneering garage rock superheroes. 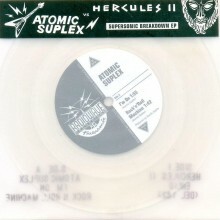 Promotional split single The Swankers b/w Atomic Suplex. 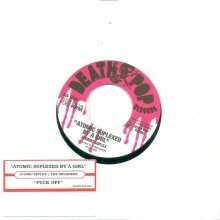 Limited 500 copies. 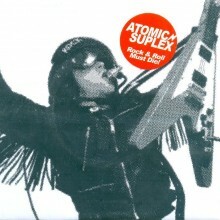 Rock & Roll Must Die CD from Atomic Suplex, Limited to 50 copies. Sold on Italian tour and online. 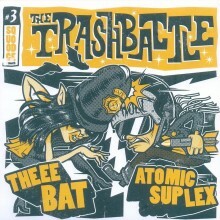 Limited edition garage rock vinyl 7″ featuring Theee Bat and Atomic Suplex. Artwork by Weirdo Cartoon.